Shadow wearing amys old clothes XD. LOL look at sonic XD nosebleed. Wallpaper and background images in the Sonic the Hedgehog club tagged: sonic hedgehog shadow. 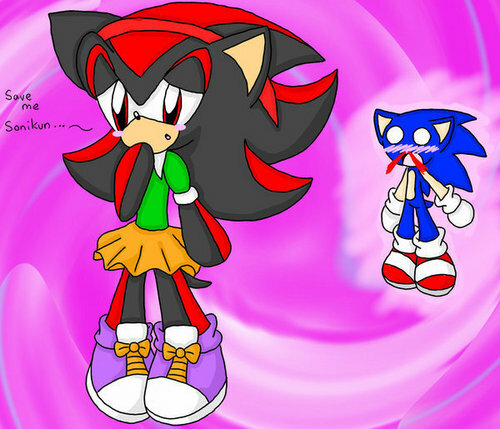 Shadow u look too cute on Amys old clothes!